Counting the itchy red bumps that dotted our arms and legs was something of a summer ritual when I was a child. Even though there was no reward or relief in having the most mosquito bites, everyone always wanted to be the winner. At the time, things like West Nile virus and Zika weren’t even on my radar. Now that I’m a parent, the sound of mosquitoes buzzing in our ears and the sight of my kids scratching a bug bite sends my worrying tendencies into overdrive. How big is the risk of a little bug bite? Honestly, we’re lucky. In many places, like most of North America, mosquitoes are only a seasonal problem. Public health programs and regional climates are pretty effective for mosquito control. You can go the extra mile and arm yourself with more detailed information about diseases spread by mosquitoes and their symptoms. 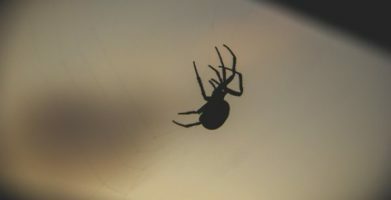 Watch out for spiders when you are returning to a summer cottage or cabin that has been sitting vacant, or when you are getting something that has been left in storage for a while — they prefer quiet, undisturbed areas. Ticks prefer warm, but shaded, environments such as leaf piles and forest brush. Watch out for them when you are camping, hiking, or even just walking an adventurous dog outdoors. 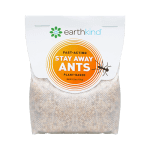 Look out for fire ants if you are in the South and Southwestern states — most other types of ants are just a nuisance. Ants do live in colonies and work together as a group and will swarm anywhere there is a food source, indoors or out. Watch out for stinging insects like bees and wasps outside during warm weather. They are attracted to bright colors as well as sweet food and drinks because those are the characteristics of the flowers they prefer. More often than not, the worst after-effect of an insect encounter is just itching and scratching. 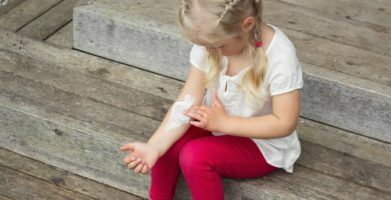 Natural DIY relief for itchy bug bites. A cool, damp green tea bag will soothe the itch and reduce inflammation. Rub a basil leaf on the bite; basil has anti-inflammatory properties. Peppermint — a dab of toothpaste, a drop of essential oil, or a fresh leaf straight from the plant can all do the trick. Pinching; your brain can only focus on one type of pain at a time so a quick pinch will take your mind off the itch. If you (or your child) can’t quit scratching, try putting a Band-Aid or invisible tape on the bite. Next time you plan on spending time outdoors, bring a bug repellent with lemon eucalyptus oil — this natural ingredient has been proven effective for repelling mosquitoes and other pests. A raised, red bump at the site of a bite is normal, so is itching and temporary or minor swelling. In most cases, symptoms disappear within a few days and no medical attention is needed. Signs of an allergic reaction will appear almost immediately after the bug bite happens. If you are feeling ill days after a bug bite, you should follow up with your doctor. Mosquitoes, ticks, and other bugs can transmit diseases to people like Lyme disease or West Nile Virus. Spare yourself from some of life’s little nuisances by using natural pest prevention where you live, work, and play. Visit our Pest Library for proven ways to get rid of household pests naturally. Well we live in motel and I’m getting bit but not my husband it seems like when something happens or if anybody gets bit or hurt it’s me all the time .I have bites and they driving me crazy the husband doesn’t get bit or hurt ever .I need relief nothing seems to work on me . So sorry to hear about your situation! Biting insects may hone in on one person and not another for a variety of reasons including diet, blood type, body temperature and other variables. Have you heard about our newest product, Stay Away Mosquitoes? 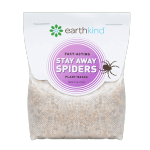 It is a skin-friendly insect repellent that you may find helpful. We’re currently offering free samples (just pay $1 shipping). Over 1000 customers have tried and reviewed it, giving it an average rating of 4.66 stars! Hopefully you’re able to find some relief soon. Honestly, we’re lucky. In many places, like most of North America, mosquitoes are only a seasonal problem. Public health programs and regional climates are pretty effective for mosquito control. You can go the extra mile and arm yourself with more detailed information about diseases spread by mosquitoes and their symptoms. 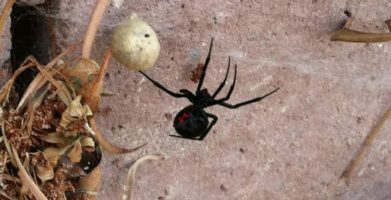 Watch out for spiders when you are returning to a summer cottage or cabin that has been sitting vacant, or when you are getting something that has been left in storage for a while -- they prefer quiet, undisturbed areas. Look out for fire ants if you are in the South and Southwestern states -- most other types of ants are just a nuisance. Ants do live in colonies and work together as a group and will swarm anywhere there is a food source, indoors or out. Peppermint -- a dab of toothpaste, a drop of essential oil, or a fresh leaf straight from the plant can all do the trick. If you (or your child) can’t quit scratching, try putting a Band-Aid or invisible tape on the bite. Next time you plan on spending time outdoors, bring a bug repellent with lemon eucalyptus oil -- this natural ingredient has been proven effective for repelling mosquitoes and other pests. Spare yourself from some of life’s little nuisances by using natural pest prevention where you live, work, and play. 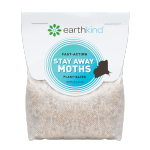 Visit our Pest Library for proven ways to get rid of household pests naturally. string(75) "Stop Scratching Itchy Bug Bites! Home Remedies That Offer Relief, Naturally"